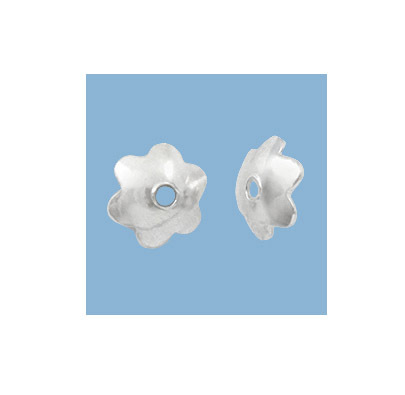 Sterling Silver 5mm, 6 Petal Shiny Flower Bead Cap. Sold in packs of 20. This bead cap works well with 5 & 6mm round beads. We also have this bead cap available in 6mm.